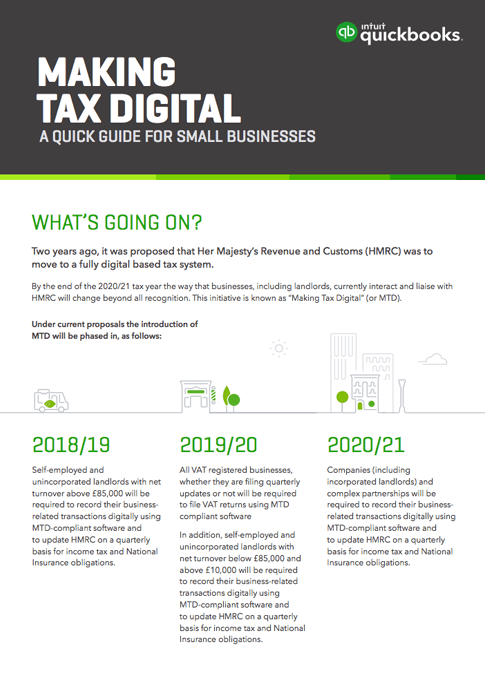 Two years ago it was proposed that HMRC was to move towards a fully digital based tax system, making tax digital or MTD for short. This affects all businesses and by the end of the tax year 2018/19 these changes may affect you and your business. By 2020/21 all businesses will be affected. These changes are coming and you will be expected to update HMRC every quarter. Quick Books have produced a guide which can be downloaded here. HMRC have information on their website regarding these changes.